PSU Banks are generating a lot of buzz (once again) due to all the wrong reasons. Every time one thinks that the mess is clear now, new skeletons fall off the closet. Experts have been calling the bottom for PSU Banks from quite sometime now. Many are citing the huge discounts at which PSU Banks trade to their book values viz-a-viz their private sector peers. The recent scams and defaults have further sent the PSU Bank shares spiraling lower and investors see a good opportunity to buy into PSU Banks. Does it necessarily mean that PSU Banks are a valuepick because they are trading at deep discounts to their book values? This article addresses this point through historical facts and figures. The reported book value is the management's figure. It may or may not be a true reflection of the books because if the figures in the balance sheet and revenue statement are incorrect then the book value is incorrect too! So why will figures be incorrect? Incorrect figures can be because of management misstating facts and figures, not accounting for losses and bad debts, assets being carried in the balance sheet even when they are obsolete. The loans that banks give are assets for them. So when the value of this asset erodes, the book value falls. As the banks start reporting NPA's, their book values erode (due to write of off assets). It is interesting to note that for Eicher Motors, the market is paying nearly 11x the book value per share and for Corporation Bank, the market is paying just 0.37x of the book value! So are PSU Banks cheap/under-valued? First, lets look at the historical PB Ratios for these banks. From 2011, Corporation bank has always traded below its book value. That means, investors were never ready to pay even the book value of the company! Andhra Bank is another PSU bank which is trading much below its book value since 2012. PNB was one PSU bank which along with SBI used to trade at ~ 1x the book value. The 12,000 Crore Nirav Modi case has led to a sharp re-rating of the stock as investors fear that the book value is massively over-stated. Should you invest in PSU Banks? Most of the PSU Banks are trading at multi-decade lows. We must understand that these banks cannot command more than 1.3x to 1.5x of their book values for long due to high dependence on a slow management decisions. This means that if you are to gain any meaningful return from these stocks, you will have to go for those PSU Banks, whose book values will grow over the next few years. But what if further defaults erode the book values even more? The stocks will keep going lower and you will miss out on the returns that other quality stocks offer. However, if you get the right PSU Bank whose asset quality will not further deteriorate, then a revival in India's core manufacturing sector can see the book values appreciate and also a re-rating to occur. Re-ratings can happen sharply. Imagine a 0.3x PB Ratio moving upto 0.6x within few quarters! 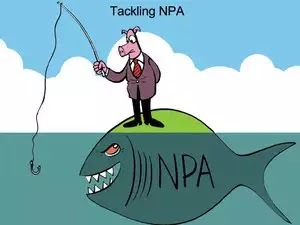 However, the asset quality of PSU Banks is anybody's guess and you never know how many more skeletons will fall out of the closet as a probe for all NPA's above Rs 50 Crores begins. For reviving the PSU Banks, the Government will have to reduce the number of PSU Banks to 3-4 and privatize/merge most of them. Till major reforms kick in, these banks won't offer much to shareholders.